Barbara A. Williams, 79, of 303 William St. Watertown, passed away Sunday, October 14, 2018 at the home of her son and daughter in law in Marietta, NY where she was under the care of Hospice and surrounded by her loving family. The funeral service will be held 4 P.M. Thursday, October 18th at the Hart & Bruce Funeral Home 117 N. Massey St., Watertown. Calling hours will precede the service from 2 to 4 p.m. at the funeral home. She will be cremated following the services and burial will take place at the convenience of the family in Glenwood Cemetery. Barbara was born on February 21, 1939 in Murrysville, PA, daughter of Russell and Margaret Anne (Morehead) Tomer. She graduated from Franklin High School and following school married Hector J. Williams on February 16, 1962 in Watertown. The couple resided in Watertown where she began to volunteer at the Watertown American Red Cross and later became an administrative assistant. She then went onto to work as an administrative assistant for the North Country Foundation where she retired in 1999. Her husband worked over 40 years at New York Air Brake and upon their retirement, the couple began volunteering for Meals on Wheels. She was very active in the Watertown American Legion Auxiliary where she held various positions and was former president of the auxiliary. She also enjoyed sewing, quilting, dancing, walking and spending time with her grandchildren. 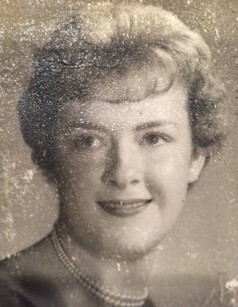 Among her survivors are her beloved husband Hector J. Williams, Watertown, two sons and a daughter law, Dale H. and Katrina D. Williams, Marietta, NY, Dean C. Williams, Sarasota, FL; a daughter, Diana A. Williams, Canandaigua, NY; seven grandchildren, Lindsey, Zach, Cory, Amanda, Joshua, Tyler & Haden; three great grandchildren, Kenny, Lucy and John; a sister and brother in law, Alice and John Ainsworth, PA, nieces and nephews. A sister, Eileen and four brothers, Lawrence, Delmar, Glenn and Tommy all predeceased her. Donations may be made to your local Meals On Wheels or the American Heart Association.